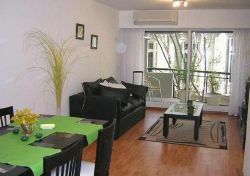 Below are just examples of the apartments that we have available for your stay. 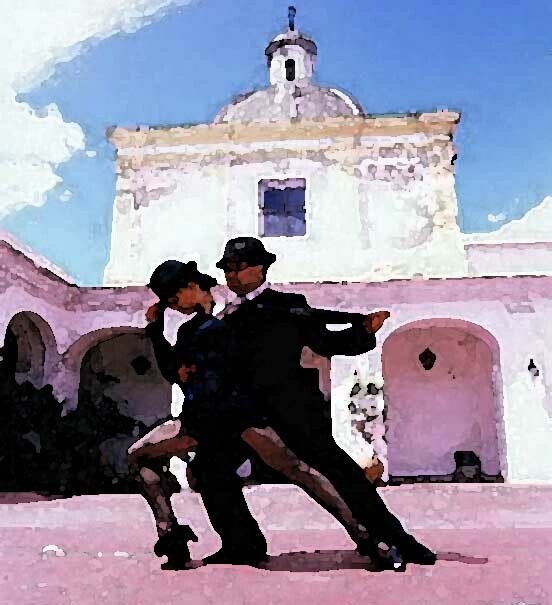 Any type of accommodation can be arranged, no matter how big or small your traveling party. 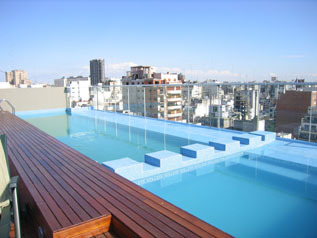 The apartment on the left has a roof top pool. Warm and bright one-bedroom apartment on the 9th floor. It has a bedroom with a queen size bed and cable TV, a nice living dining room with table for four and sofa bed, kitchen and full bathroom. This one bedroom apartment is located in Recoletta, it comes equipped with cable television, a stereo system, & a full kitchen. 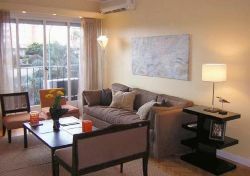 This one bedroom apartment features a spacious terrace, a fireplace, stereo system, & cable television. This is a one-bedroom apartment located very close to the many attractions of the Recoletta neighborhood, just steps away from elegant restaurants, museums, coffee-shops, cultural centers, pubs and movie theaters. 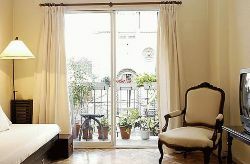 Very nice and sunny one bedroom apartment in Recoletta neighborhood, the nicest and safest area in Buenos Aires. 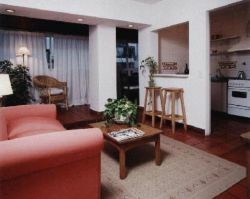 The flat is in a modern building with pool terrace, it has a living dining room with dining table for four and comfortable living area with sofa-bed convertible, one full bathroom, one half bath and fully equipped kitchen. 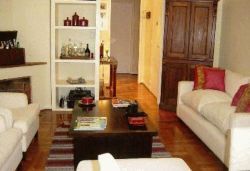 This is a two bedroom apartment located next to the famous Patio Bulrich Shopping Mall, in one of the best areas of Buenos Aires, a few steps from many museums, cultural centers, coffee shops, and elegant restaurants. Decorated by a professional interior designer, with luxury and comfort in mind, it features original oil paintings, designer furniture, a beautiful open view, 24 hour security, and the most sought-out location in town. Only one block away you’ll find Patio Bullrich, one of the nicest malls in B.A. Across the street there are four of the finest restaurants in the city. A very spacious, bright and stylish apartment. It has three bedrooms, all with king-size bed one is a suite. There are two bathrooms available all have a Jacuzzi. 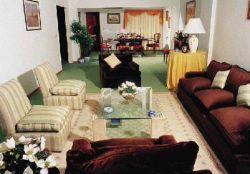 This apartment has a very spacious living/dining area and a grand kitchen. 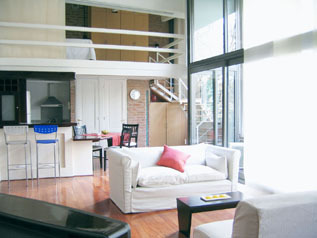 The living area gives access to a beautiful, grand sunny balcony. 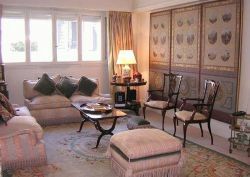 1860 sq ft.
A very spacious, bright and stylish apartment. 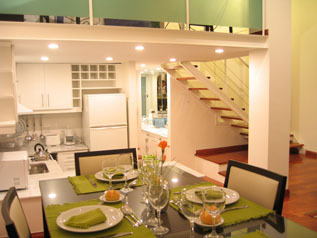 It has three bedrooms, all with king-size bed one is a suite. There are two bathrooms available all have a Jacuzzi. 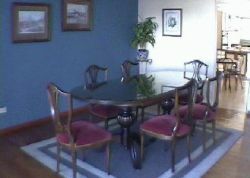 This apartment has a very spacious living/dining area and a grand kitchen. The living area gives access to a beautiful balcony. 1900 sq ft.
Special for corporate guests with the comfort, coziness and quietness of your home in the fashionable district (Recoletta) of the city. It is surrounded by the most luxurious residences, five stars hotels and the most distinguished shopping centers. 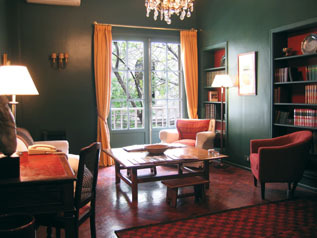 1900 sq ft.